Wear this knit jumper with confidence doll. 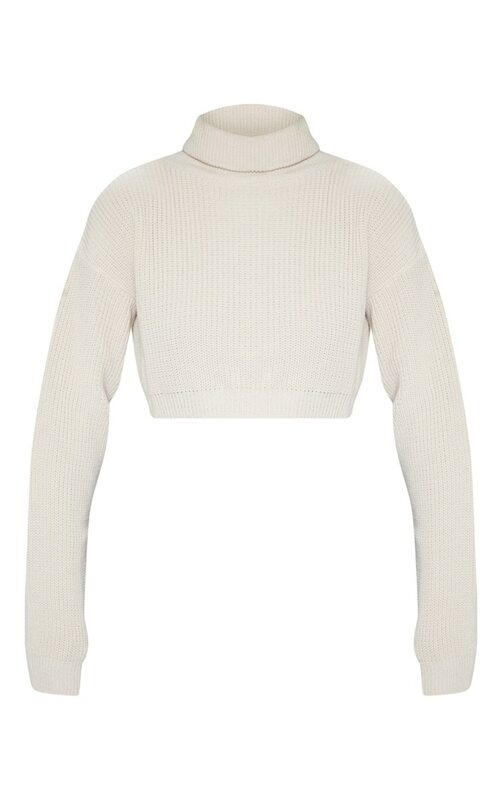 Featuring a stone knitted material with a high neck, long sleeves and a super cropped length. Team this with leather pants and clear heels for desk to drinks vibe.